Well, as with any project that comes with a big choice that will largely impact the project in its entirety, I struggle to make that choice. Decisions are certainly a weakness for me, although, if Mr. Albright is correct, then they are also my strengths. So in light of my indecisiveness, in this post I will explore my top four considerations for the project and my reasoning for my difficulties, and hopefully along the way my thoughts will be cleared and the light will appear, shining on my eminent person for this year. As you can probably tell from my title, I have been able to agree with myself that I will most certainly be doing a woman for my study. I have always been very passionate about equality of all types especially equal rights for women, so this was a fairly straightforward decision. I also decided that I wanted to study an athlete, seeing as I am an athlete myself and I feel a strong connection to female athletes. Also, all the skills that must be present in high level athletes both on the court, or playing field, and off, is truly remarkable. However, that’s where the clarity ends. When I am making a decision like this, I always struggle because I try to find the absolute perfect match, but really perfect doesn’t exist so you may say it’s a waste of my time. The way I look at it though, is rather I am trying to find the one topic, in this case person, that I am the most passionate about, this will allow me to have the most fun and get the most out of my project, which I think is a lot of what the eminent project is about. That being said, the decision takes just as long. Over the past few days, and hours, I have managed to narrow down my options to four: Clara Hughes, Teresa Gabriele, Becky Hammon, and Silken Laumann. These four women have many things in common, however they also have many experiences and characteristics that set them apart. You may be wondering who Teresa Gabriele and Becky Hammon are. I suppose you may also be wondering who Silken, and maybe even who Clara, is too, but we’ll get to them later. To start, Teresa and Becky are both retired women’s basketball players who have succeeded undeniably and outstandingly in their respective ways. Teresa grew up in Mission BC and is about 5’6 in height. Similarly, Becky is below the basketball average at about 5’6 in height, however Becky grew up in Rapid City South Dakota. Both of these phenomenal players generally played the point guard position, often the leader of the team. I started playing basketball in grade three, and ever since the first time I knew who she was, I have been idolizing Teresa Gabriele. Basketball is my passion and I look up to Teresa for many reasons, including the fact that she is somewhat short, in basketball terms, and I am about her height and not sure how much more I am going to grow. Also, she is from BC. What makes her so amazing though, is her unwavering commitment to the game of basketball in Canada over the years. She played on the national team for an incredible 16 years, and while fighting through countless injuries, changed the face of women’s basketball in Canada. She has inspired me so much and showed how anything is possible for anyone, and any country if you try. From the beginning, Becky was not the favourite. She was short and grew up in a somewhat outlying region for basketball, but she didn’t let any of this stop her. When she finished her years playing at college, unbelievably she went un-drafted in the WNBA, but even this didn’t stop her. When she was invited to a tryout in New York, she blew everyone away and ensuingly did the same to the entire WNBA that year. She is now the first full time female assistant coach ever in the NBA, just to give you a few of her achievements. It touched me this summer when her retirement was announced at the end of the WNBA season and she made history in the NBA. She has left such a legacy in women’s basketball and continues to develop her legacy in basketball in general, paving the way for more women to follow. On a different note, my other two athletes have done much more than just sports. While they each have engaging and inspiring athletics stories, they have also done much more for their communities, and the world at large. This is very important to me as I also love many things outside of sports, especially helping others. I have been in me to we for the last 3 years and am continuing this year along with having a very strong passion for other charitable work in the community and globally. 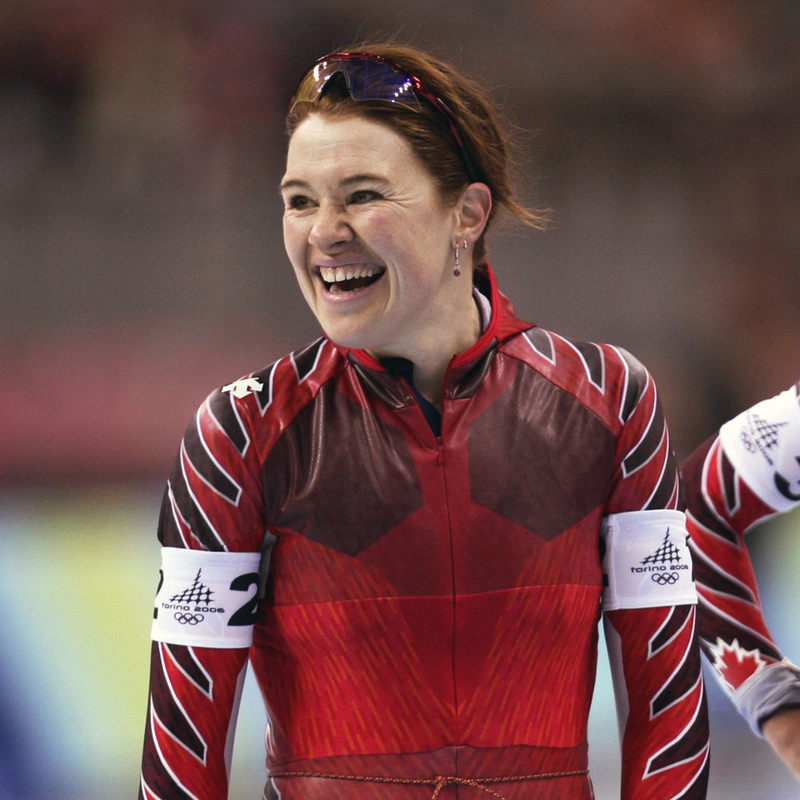 Clara is a renowned speed skater and cyclist, she has won medals for Canada in both the summer and winter Olympics, but her success is really off the field of play. She has committed countless hours to her work for mental health awareness and several other charities in Canada and around the world. Her recent campaign that happens annually in Canada ‘Bell Let’s Talk’ is an initiative dedicated to mental health awareness, and this past summer she cycled across Canada for the cause. Clara herself went through mental health struggles which have contributed to her passion to help others who are going through the same thing. For me, Clara is such an inspirational person, every time I see her either competing, doing charitable work, and being interviewed, she seems so happy. Her light and energy spread and her smile lights up the atmosphere in which she is in and also to anyone who is watching, at least me. Finally, Silken Laumann. 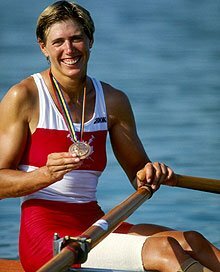 For those of you who have not heard of her before, she is a former Team Canada world champion and multi-Olympic medallist rower, but she is most widely known for her miraculous comeback only weeks before the 1992 Olympics. Ten weeks before the games, her scull was broadsided by another boat while training. Her boat’s shell shattered and tore into her skin, ripping it apart as well as her muscles and damaging her bones. However, like the other women I have talked about, this incident wasn’t stopping her. The doctors in Germany, where she was, told she may never be able to row again, but she determinedly set out on a mission to compete at the Olympics in less than 10 weeks and make her Olympic dream come true. She asked the doctors for a rubber band and asked them to tie it to the end of her bed. Over the course of the next few weeks, she pulled on the band from the head of her bed providing mild training. She went through intense rehabilitation and only ten weeks after the accident, she competed at the Olympics and won bronze. If that doesn’t seem like enough, her impact also extends far beyond her rowing comeback. She currently talks as an inspirational speaker and contributes to many charities and initiatives. Her recent self-written memoir shows not only her struggle in her athletic times, but also in her childhood.Her story is unbelievable and really shows the power of true grit and determination, and how when you set your mind on something, you truly can achieve anything. So obviously I am not going to be able to do all four of these spectacular and inspirational women, but also, I think it is clear that I am having some difficulty making up my mind. Silken Laumann once said “Change is essential to growth. Embrace Change!” . Well, my thoughts are certainly going to have to change or at least settle, my mind’s mettle will have to emerge for me to concur with myself on one of these phenomenal athletes; and when it does, I will dive whole-heartedly into the cause.